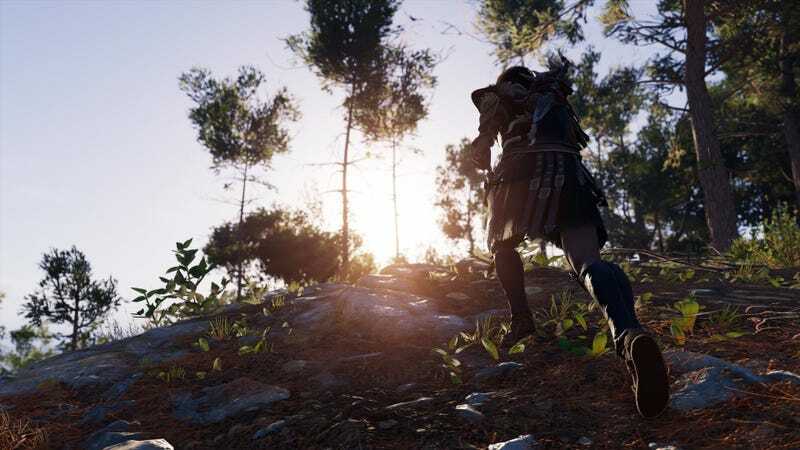 Assassin’s Creed Odyssey is a big game, so big that you’re given a horse and giant boat to help you get across it. So it’s best to take Ubisoft’s advice and use them (and fast travel) to get around rather than trying to walk (and swim) your way across the map like this guy. As he is prone to do when a new open world game hits, How Big is the Map? wanted to find out how big Odyssey’s map was by traversing it from one corner to the other. Where he could walk he’d walk, and where he had to cross the water he’d swim. In all it took him 2:27:54 to get there. There isn’t much worth seeing at the end, but as with all odysseys in the ancient Greek world, it’s more about the journey than the destination.